Bromba Biometrics’ BioIDENTICA® SDK is now compatible with SecuGen® Hamster™ III, Hamster Plus and Hamster IV fingerprint readers. The BioIDENTICA SDK allows a simple integration of fingerprint technology into any existing or new software application that can benefit from biometric authentication. Software integrators need not worry about compatibility requirements for mixing fingerprint sensing hardware devices from different vendors. Santa Clara, Calif. — SecuGen is pleased to announce that Bromba Biometrics BioIDENTICA SDK is now compatible with SecuGen Hamster III, Hamster Plus and Hamster IV fingerprint readers. The BioIDENTICA SDK allows a simple integration of fingerprint technology into any existing or new software application that can benefit from biometric authentication. Software integrators need not worry about compatibility requirements for mixing fingerprint sensing hardware devices from different vendors. Bromba (http://www.bromba.com) provides consulting services as well as software and hardware components for industrial, trading, and public customers. Based on patented recognition algorithms, Bromba develops and offers fingerprint technology with outstanding performance, especially suited to the challenges of low-cost fingerprint sensors. The employees of Bromba mostly come from the “Biometrics” business unit of Siemens AG and have nearly 10 years of experience in the areas of general biometrics, the development of fingerprint sensors, fingerprint-sensor devices, fingerprint algorithms, biometric application software, as well as the evaluation of biometric components and complete systems. SecuGen Corporation is the world’s leading provider of advanced, optical fingerprint recognition technology, products, tools and platforms for physical and information security. 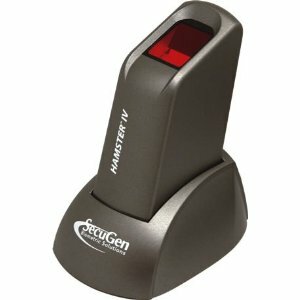 SecuGen designs and develops FBI-certified fingerprint readers and OEM components, developer kits and software, including NIST/MINEX-compliant algorithms. Known for high quality, ruggedness, and performance in a wide variety of applications and environmental conditions, SecuGen products are used by world-leading financial, medical, government, educational and corporate institutions and are sold through a partner network of over 200 original equipment manufacturers, independent software vendors and system integrators around the world.